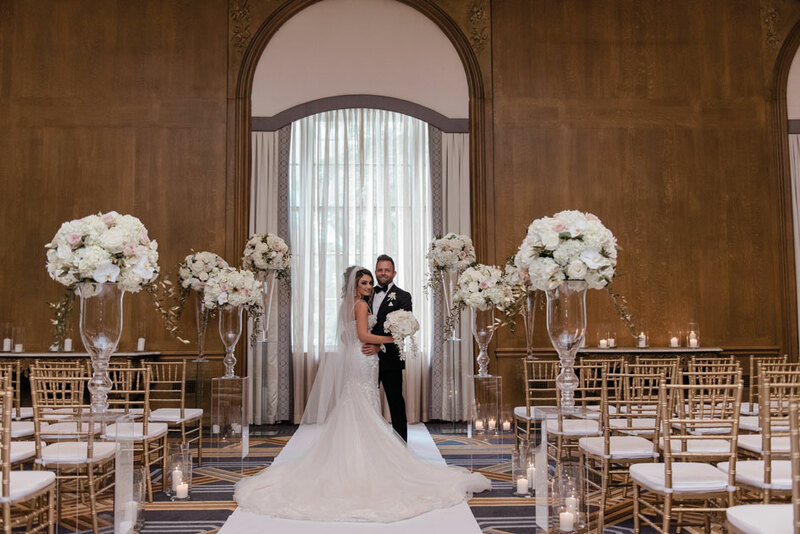 After getting engaged in Maui in 2016, Yalda Faezi and Brad Overlin set about planning the extravagant fairy-tale wedding of Yalda’s dreams. 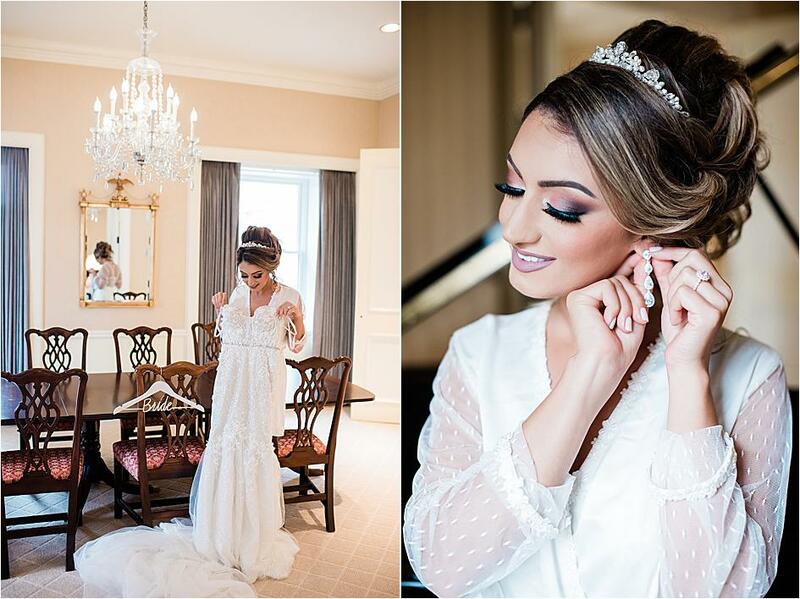 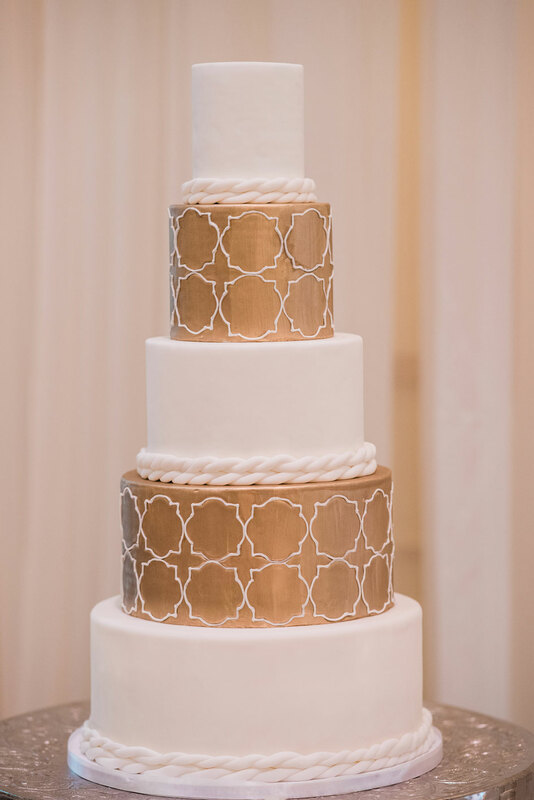 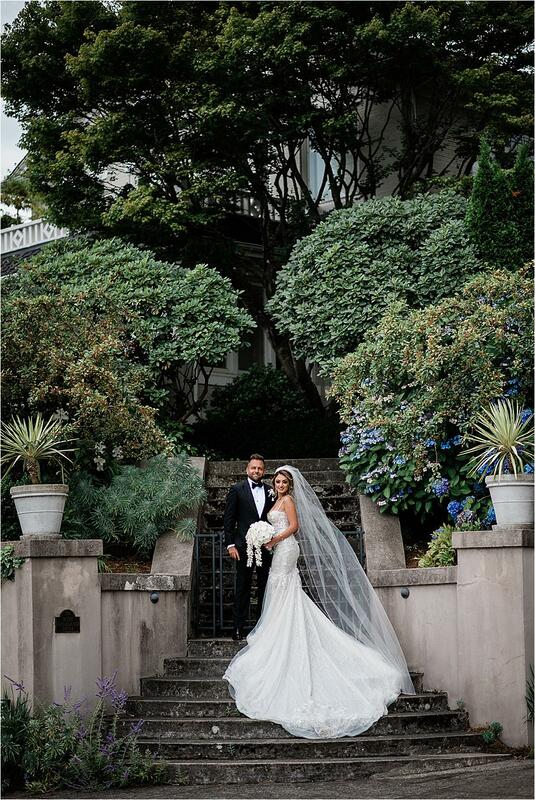 They enlisted planner Nargess Tabrizy-Shokrani of Fleur de Lis Events in Vancouver, British Columbia, to help them realize the bride’s vision of a magical setting filled with pale flowers, sheer white drapes, hanging clouds of orchids and a romantic glow cast by candlelight and sparkling crystal. 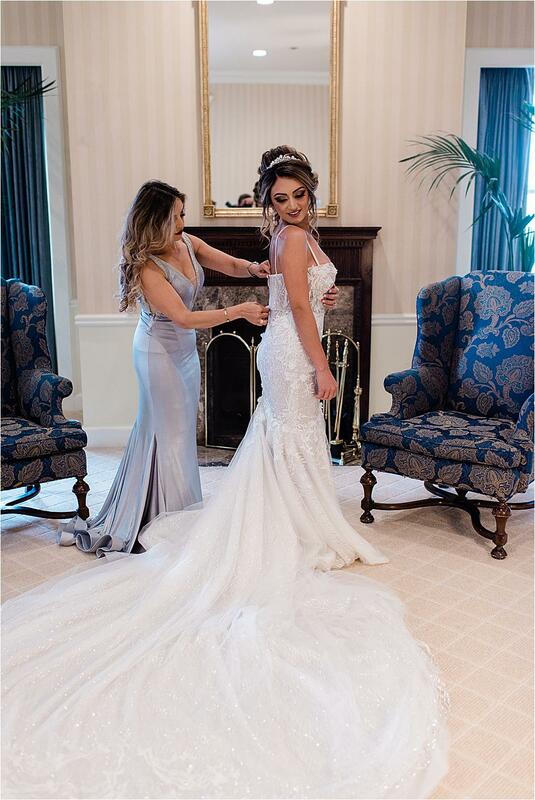 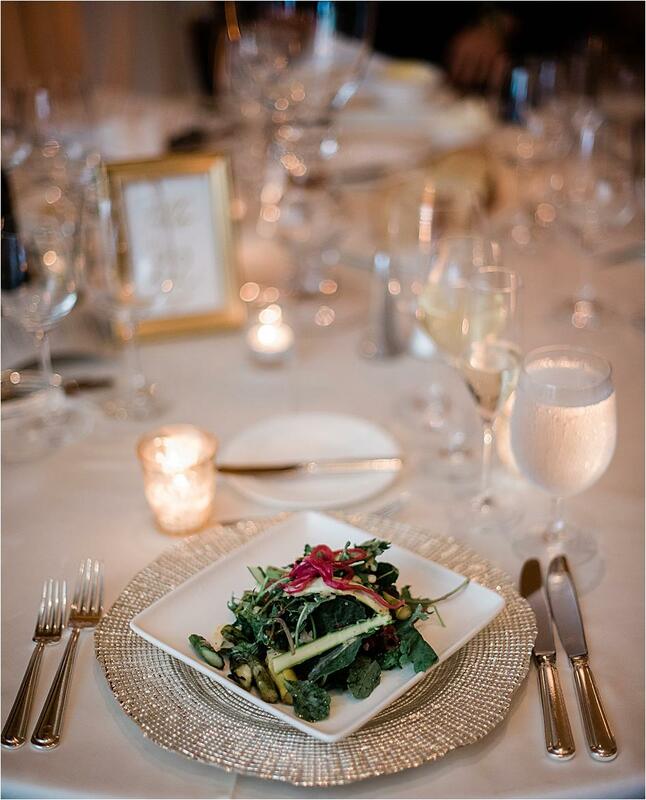 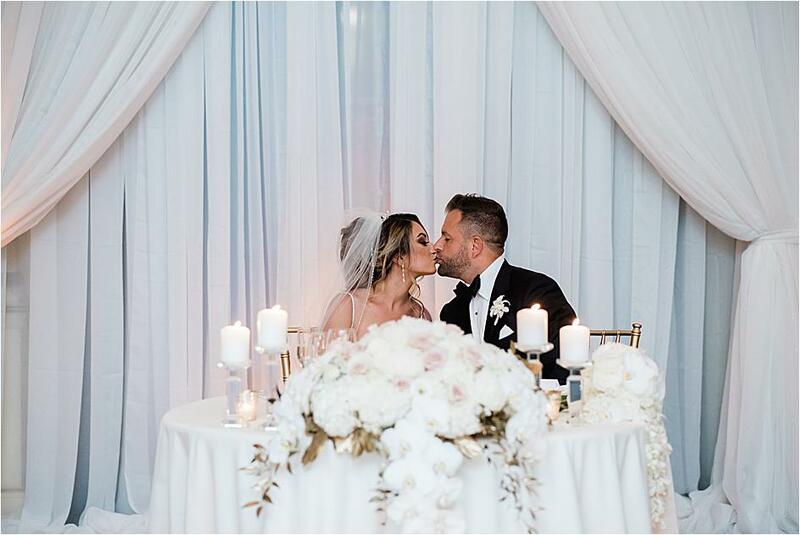 “I wanted to create a space that would not only wow our guests, but create the setting for a memorable evening filled with love for us to treasure for years to come,” says Yalda. 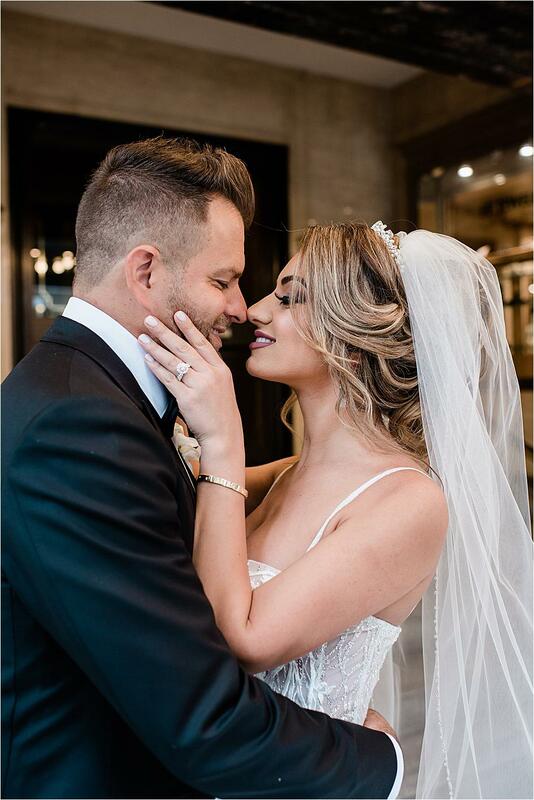 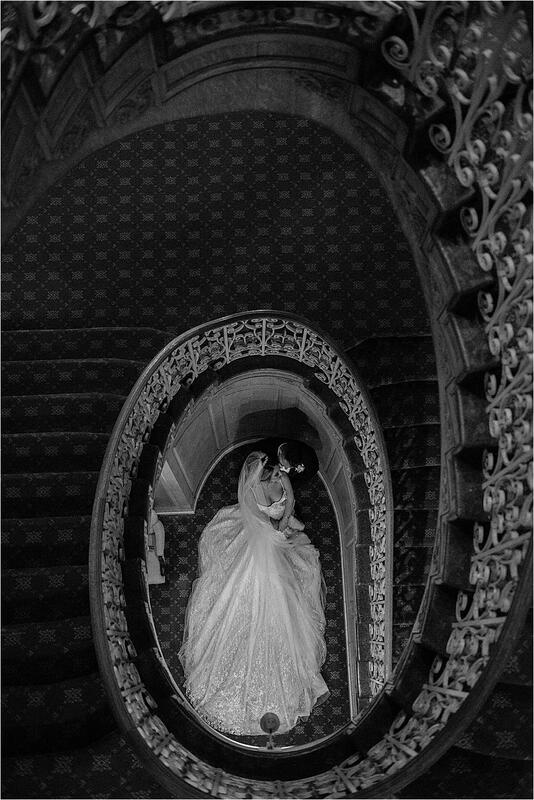 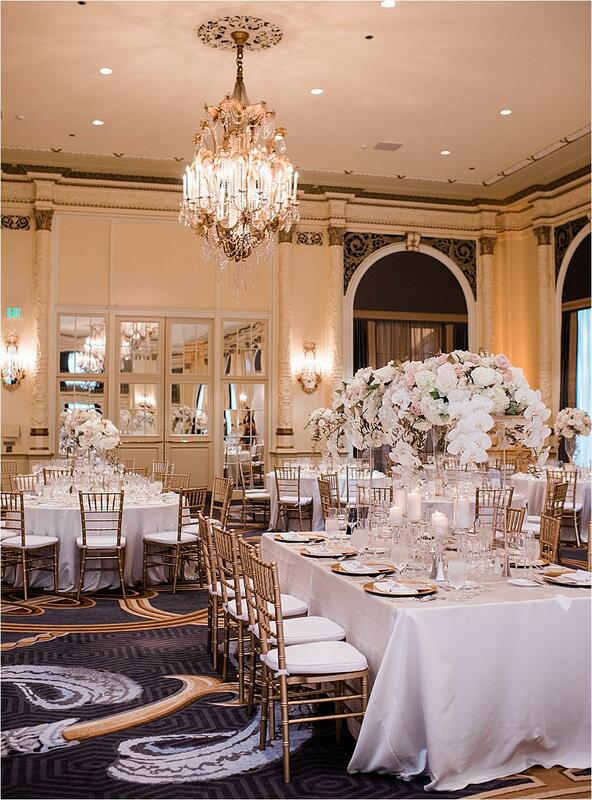 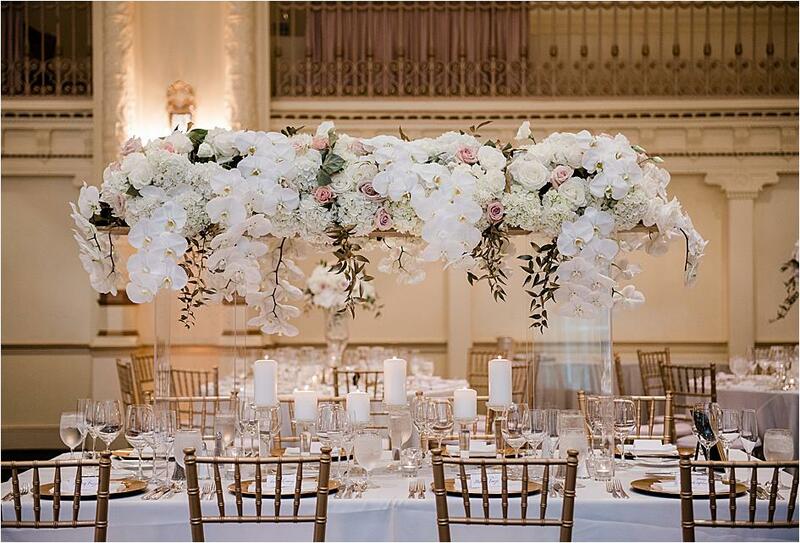 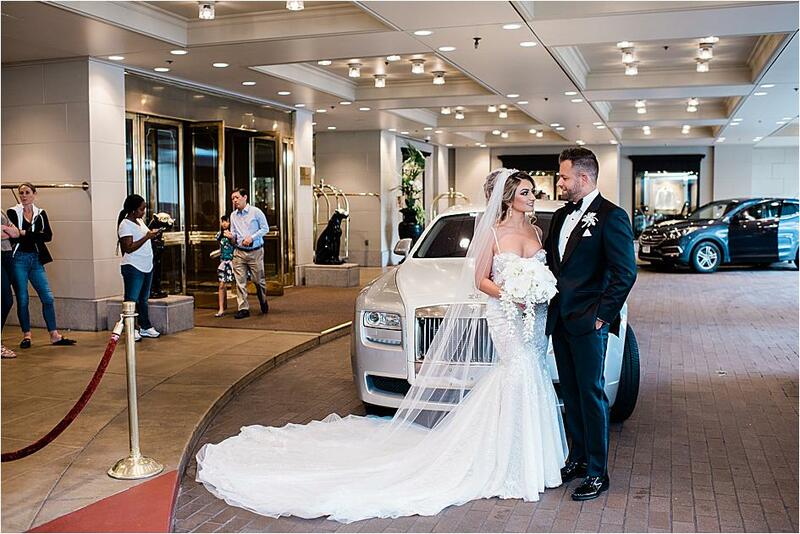 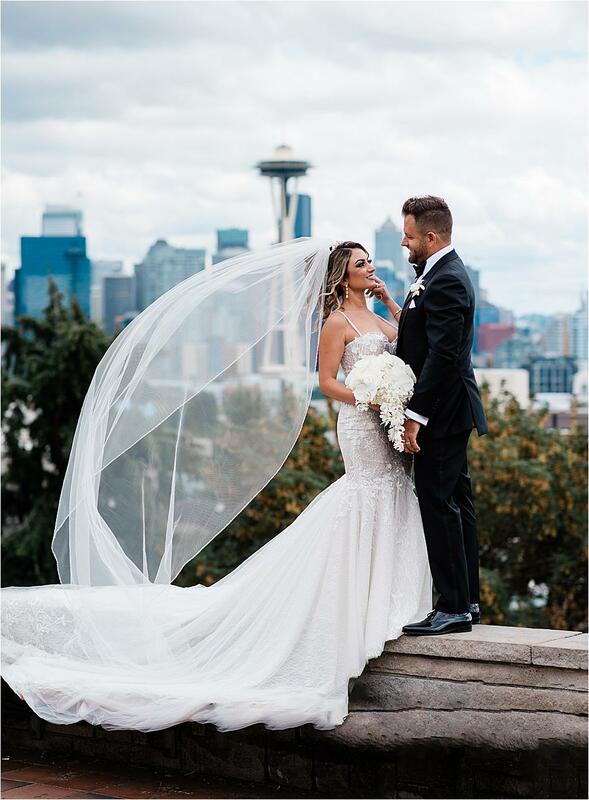 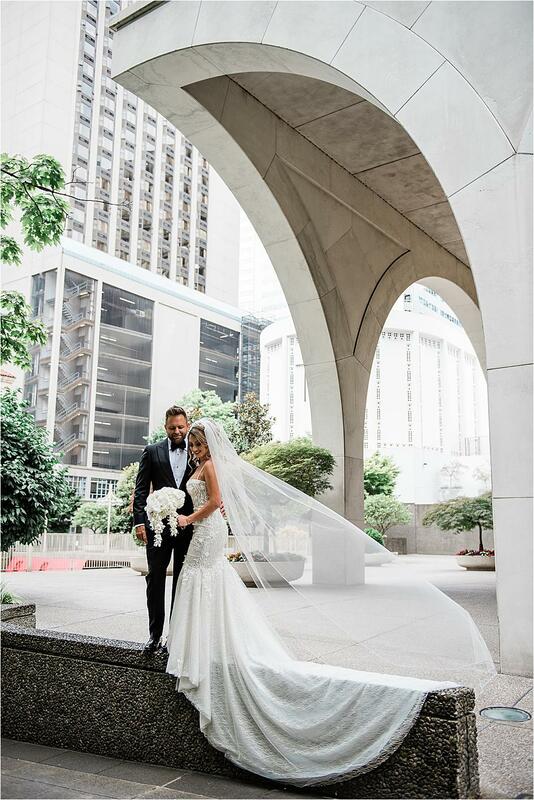 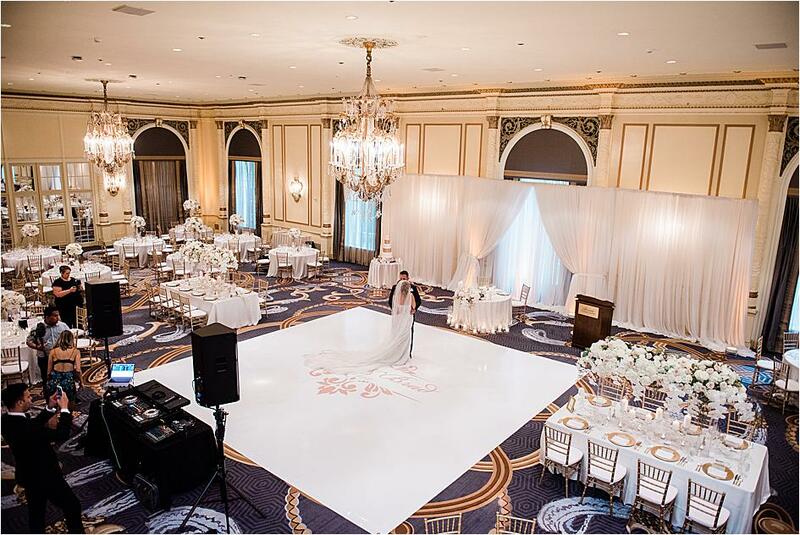 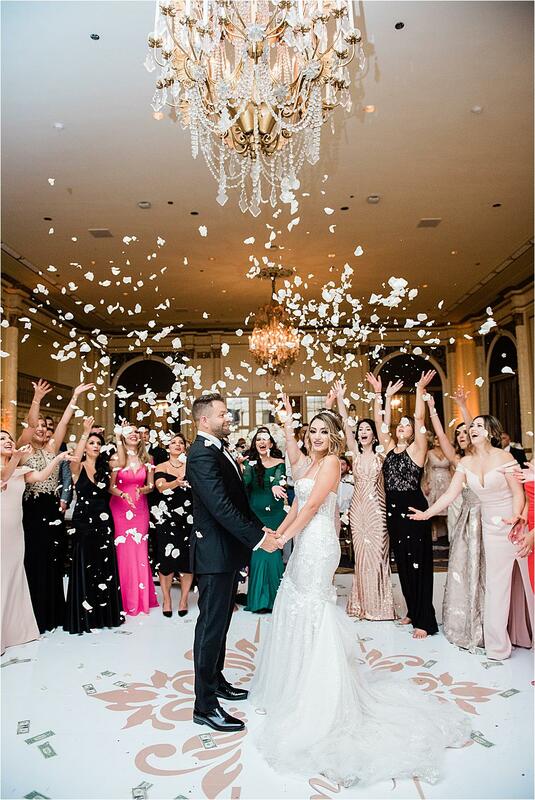 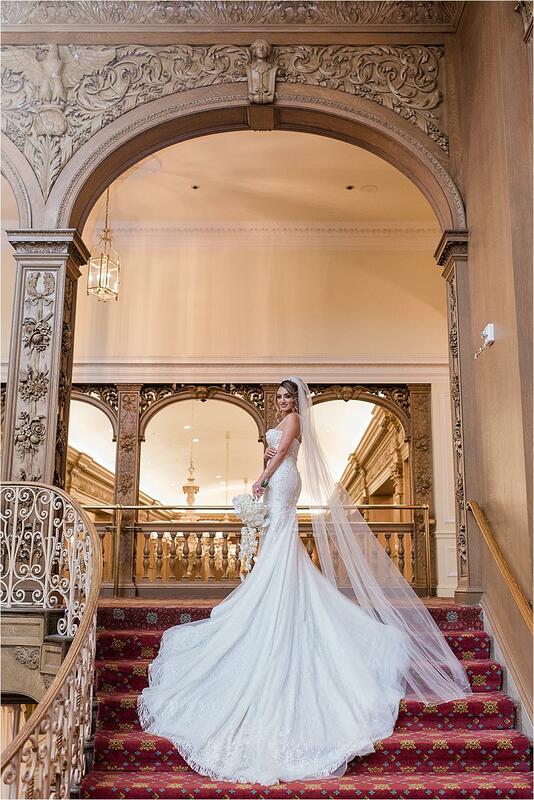 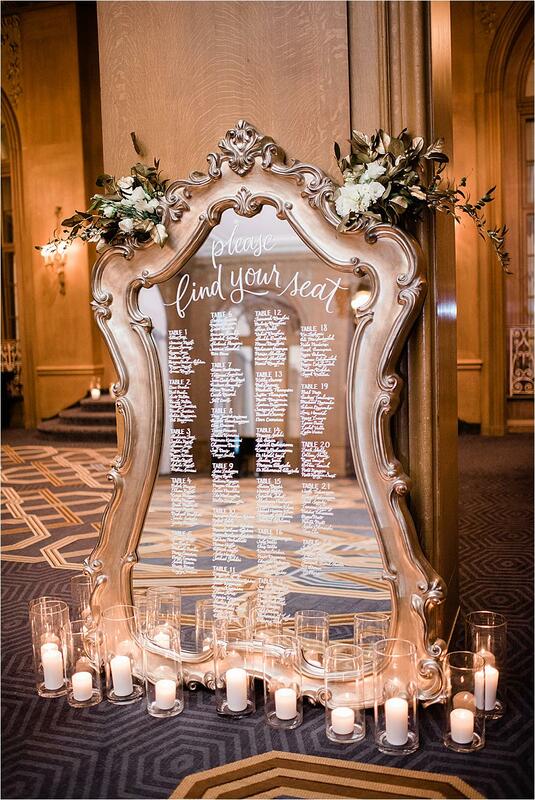 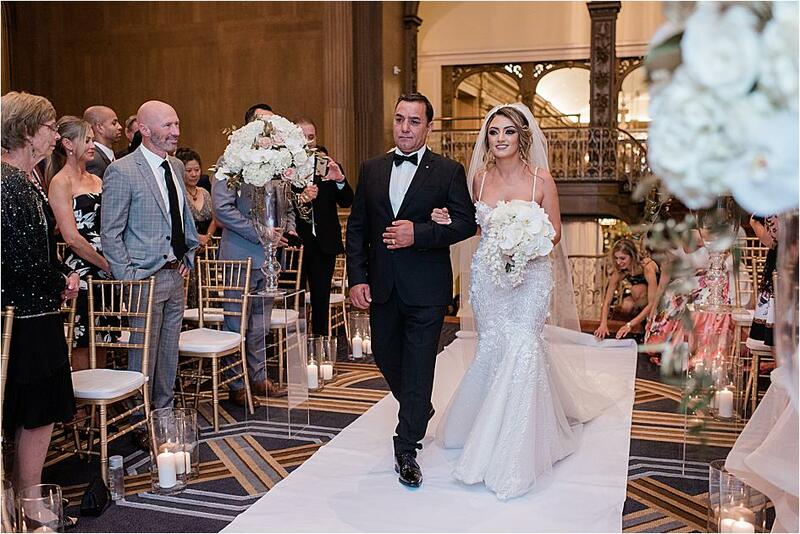 After visiting a myriad of wedding venues in the Seattle area, the couple agreed that the Spanish Ballroom at the Fairmont Olympic Hotel was the clear winner. 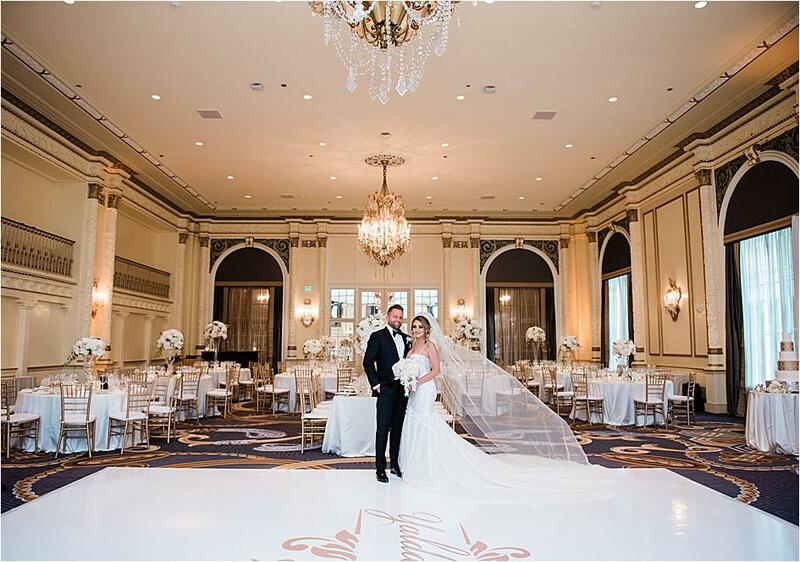 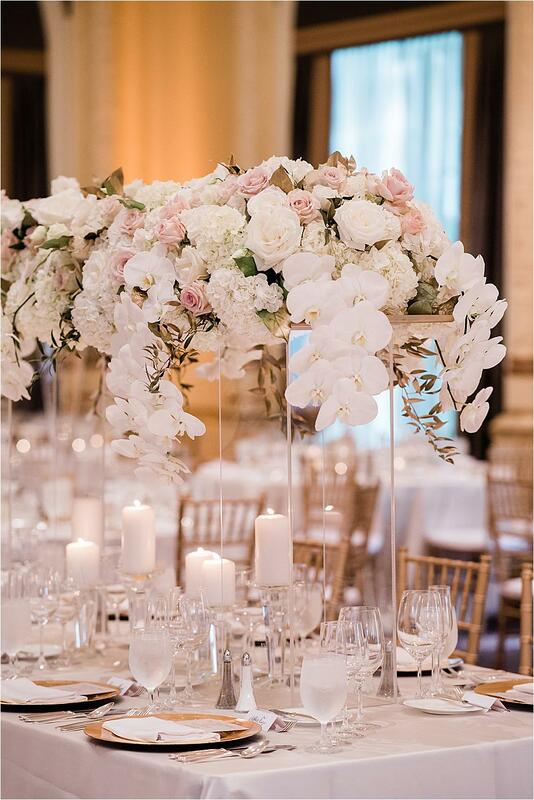 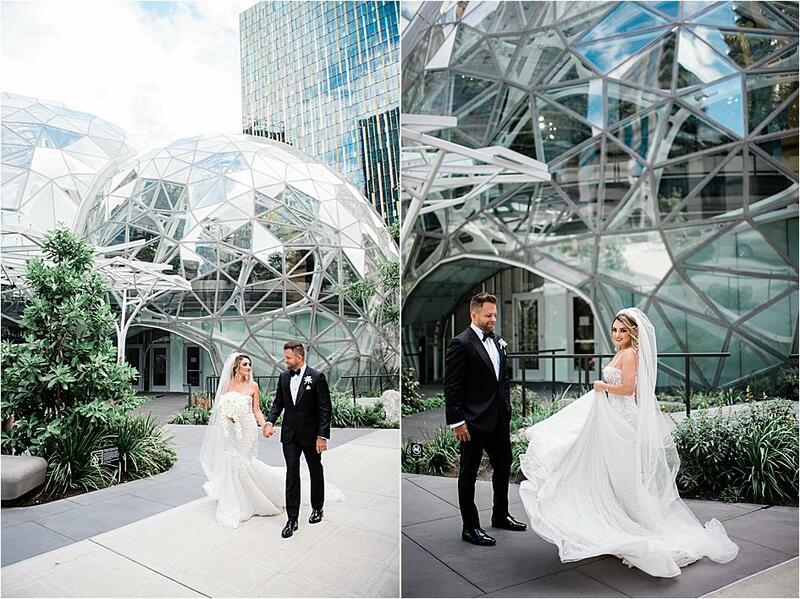 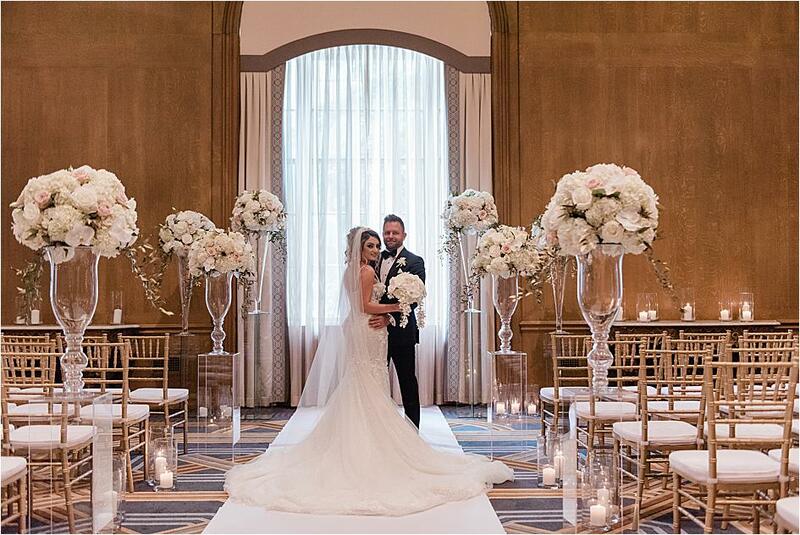 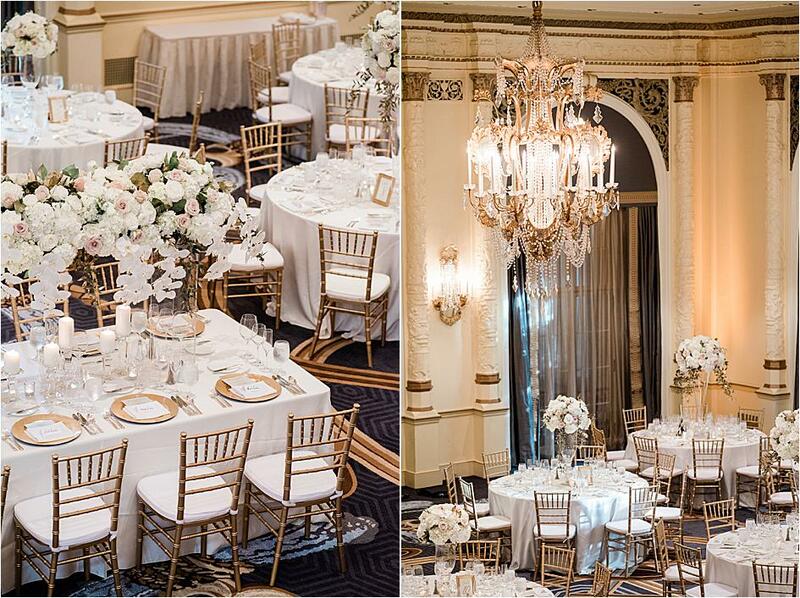 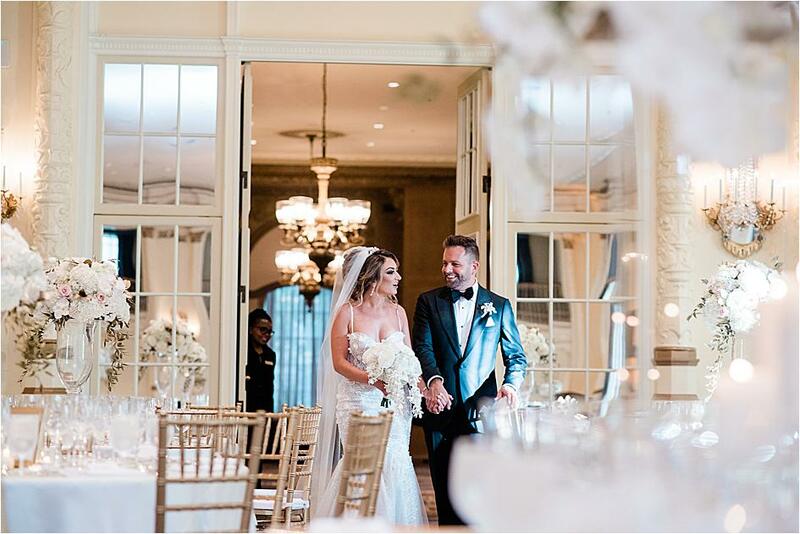 “I always envisioned a ballroom wedding filled with grand chandeliers and European charm, like those you see in the movies. 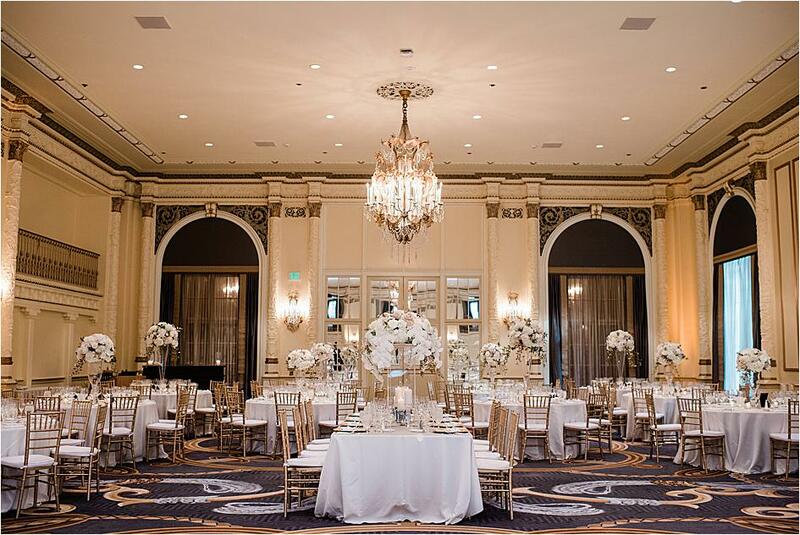 The first time we walked into the Spanish Ballroom, I had goosebumps, as the space was simply magical. 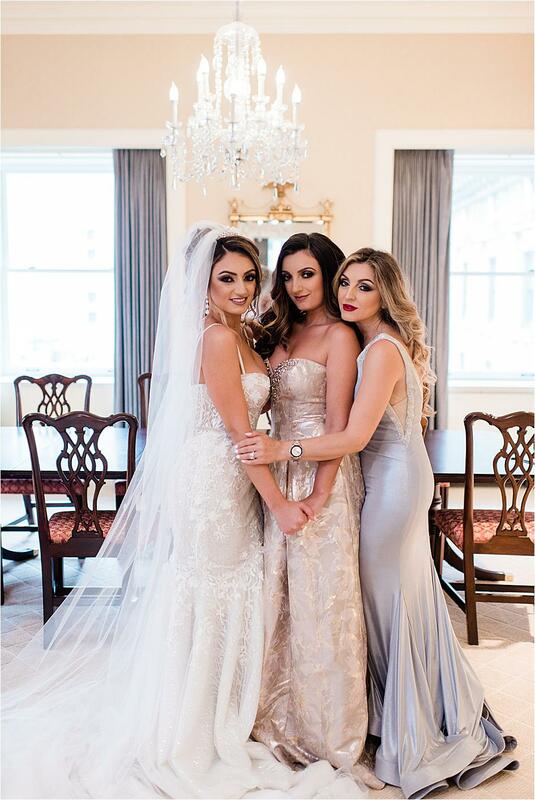 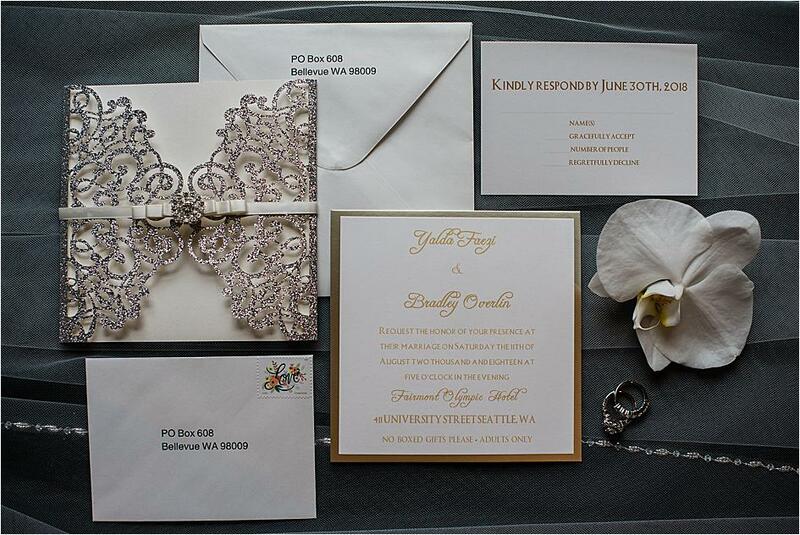 If we had to do it all over again, I would pick the Fairmont time and again,” says Yalda.